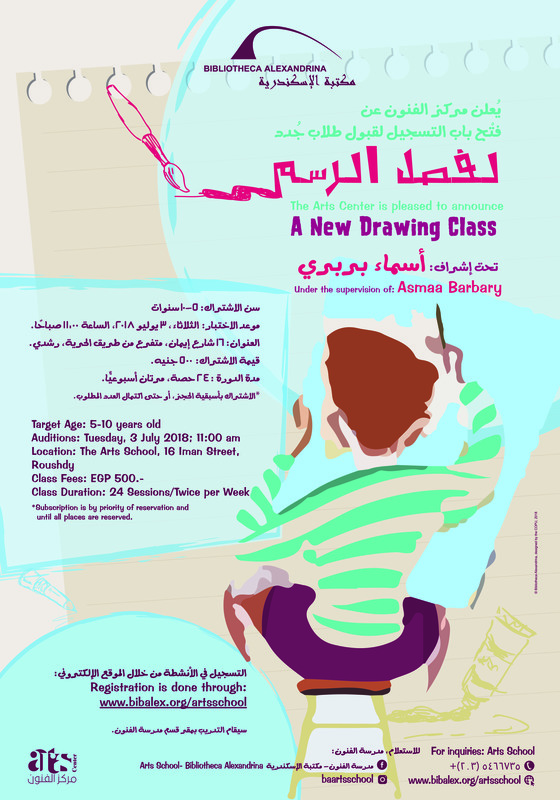 The Arts Center is announcing a call for participation in its new Drawing Class, which will be held under the supervision of Asmaa Barbary. Children from 5 to 10 years old can take part in the class, and the adutisions will be held on Tuesday, 3 July 2018, at 11:00 am, at the Arts School headquarters: 16 Iman St, Roushdy. Subscription will be by priority of reservation and until all places are reserved. 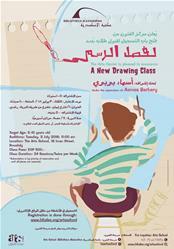 Registration can be done through the Arts School website.